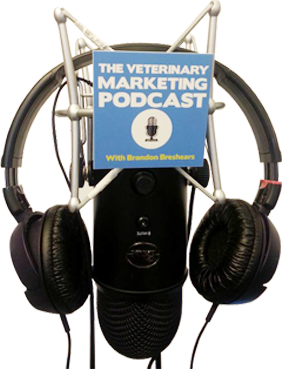 Episode 152: How Much Should Your Veterinary Practice’s Ad Budget Be? If you have been listening to the podcast for a while you know I love paid ads! Paid advertising is something I believe every practice should be used for digital marketing. Paid ads are great because they are consistently scalable, are able to be turned on or off at any time, and measurable. Before you run any ads there are a few things that need to be in place first. For starters, you need a website for your practice that is easy to use and actually works. Next, ask these 3 questions. Who are you serving or targeting? Who is the ideal client for your practice? Take the qualities of your best clients and turn those into your ideal client avatar and market to them. What do they actually want? What are these clients looking to achieve by coming into your practice? Are your clients more casual laid back pet owners that their pet is just an animal or are they the kind of owners that see their pets as members of the family that want the absolute best care for their pets? What is your enticing offer? All 3 of these questions will help you be able to understand what you’re really trying to market and will also help you to be able to build a good client relationship. After you know your answers the next step is to make sure you have your landing page you can send your potential clients to with a way to get into your practice. Then start running ads on both Facebook and Google Adwords. Once you start running ads and start to see what is working by testing, confirming and optimizing you’ll be able to get a better idea of how much ads spend you’ll need.